Emerald Coatings | Your Canadian source for custom coating products. 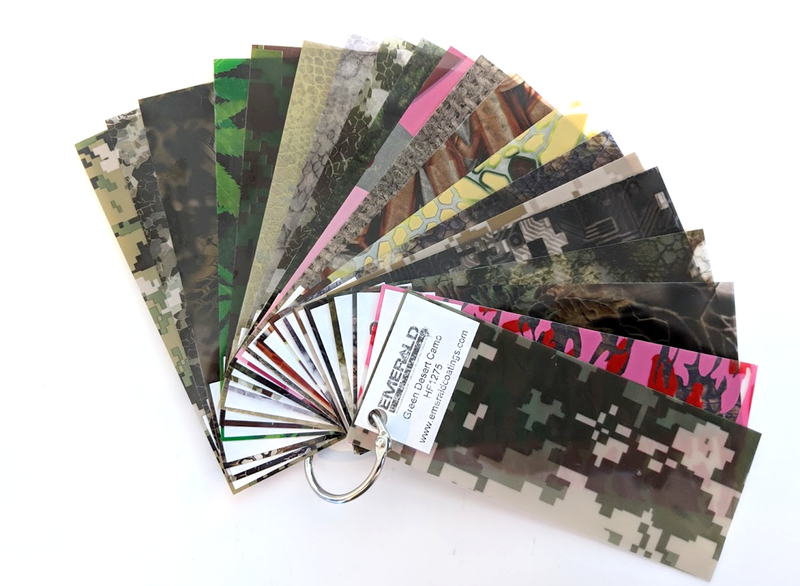 This is a swatch set of all the Popular Camo hydrographic films that Emerald Coatings sells. Nice true sun gold with a heavy metallic flake. Epoxy powder designed to achieve exceptional hardness and flexibility. This product also has excellent chemical resistance while achieving great corrosion protection. This product may have limited UV stability as it is an epoxy based powder. WEATHER RESISTANT POWDER COATING FOR INTERIOR AND EXTERIOR APPLICATIONS, CLEAR COAT IS NOT NEEDED BUT WILL ADD EXTRA PROTECTION. When coating in 2-3 stages, always particularly cure the base coat around 50-75% of the recommended cure schedule to allow the top coat to properly cross-link with the base coat. This method of curing will result in the best possible bond between coats. over curing the base coat can cause possible Delamination between coatings. 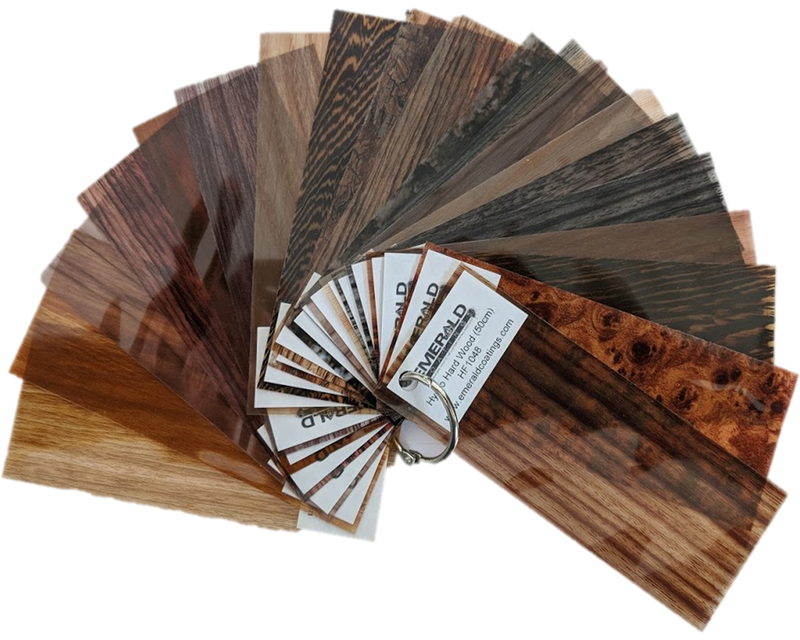 This is a swatch set of all the Wood Grain hydrographic films that Emerald Coatings sells. * CURE SCHEDULE 350F/15 MIN. @ P.M.T. The only paint formulated specifically for the hydrographic industry, One Hit Wonder Paint is a primer, adhesion promoter and basecoat in one. OHW Paint is a professional quality, solvent-based paint that features an unparalleled 18 MONTH dipping window and works on metals, fiberglass, bone, wood, plastics* and previously painted parts. CHOOSING A COLOR: Select your color the same way you would select a basecoat. Since water transfer film is semi-transparent, pick a paint color that compliments your film. Please note that you can mix different OHW colors to create your own variations. We recommend keeping brites with brites. *Please note HDPE plastics require flame treatment before degrease and scuff. This is a swatch set of all the popular Dormant colours that Emerald Coatings sells. 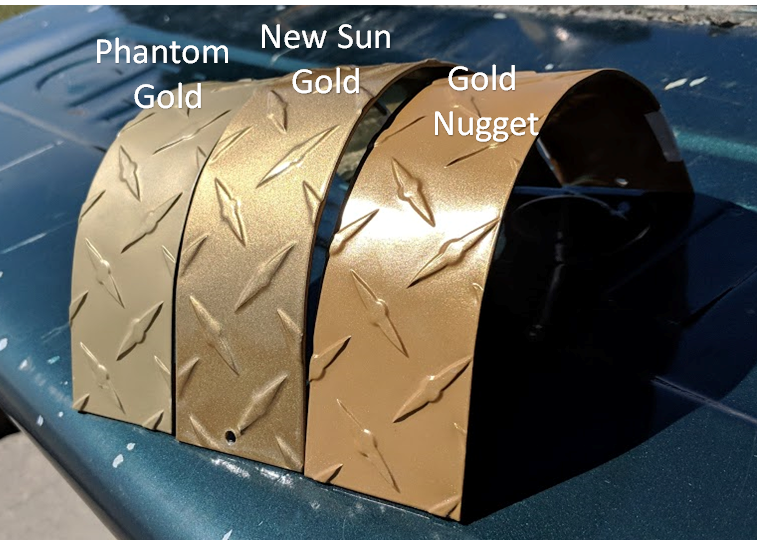 This is a swatch set of all the Carbon fiber hydrographic films that Emerald Coatings sells. This is a swatch set of all the Gun Metal / Black Metallic colours that Emerald Coatings sells. 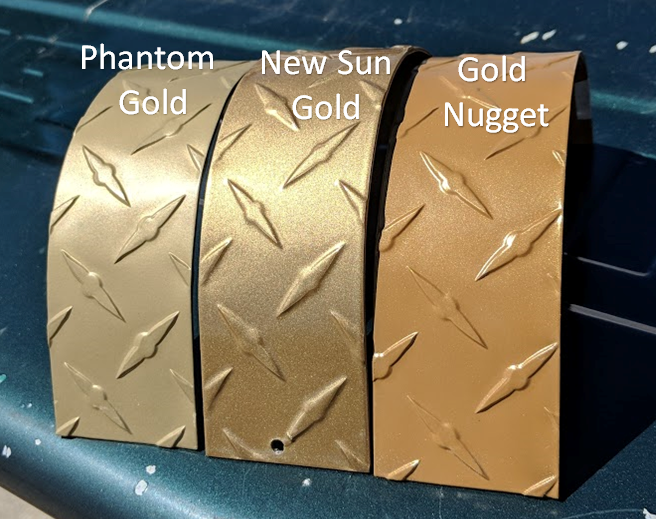 Add depth to your paint job and achieve a vibrant and unique custom look with these Candy Intercoats available in: Fire Opal, Canary Diamond, Sapphire, Emerald, Ruby and Smoke. Please note that this is a transparent base coat with candy and still requires a top clear coat for protection. Candies are best over a metallic base (pictured left over metallic silver — gives the candy it’s truest color). One Hit Wonder Paint is a ready-to-spray basecoat formulated specifically for the hydrographic process. One Hit Wonder’s unique formula eliminates the need to add reducers, apply separate primers or adhesion promoters. You simply degrease, then scuff, apply One Hit Wonder and dip. *HDPE plastic require flame treatment before degrease and scuff.